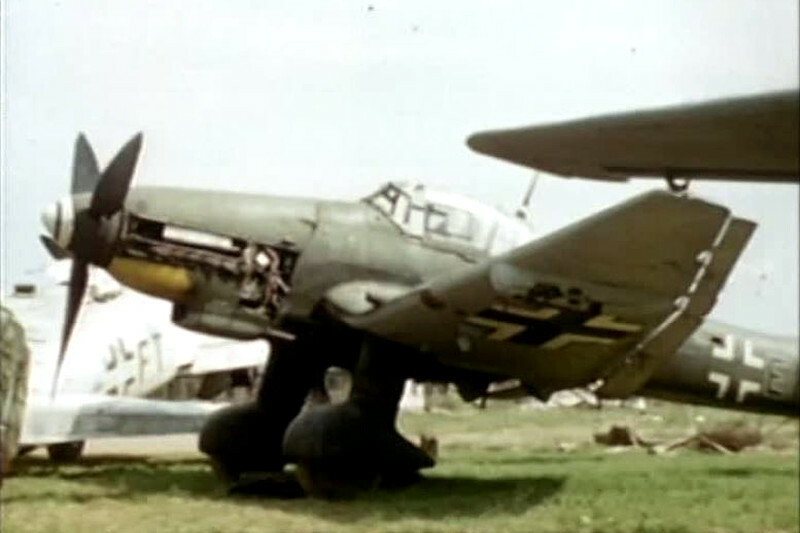 In 2011, we published two photos that showed a Ju 87 D (see photo no. 13 & 14 on page 11ff of our ‘Captured Eagles Vol. I’). [a] At that time, the location, unit, marking and W.Nr. were unknown. 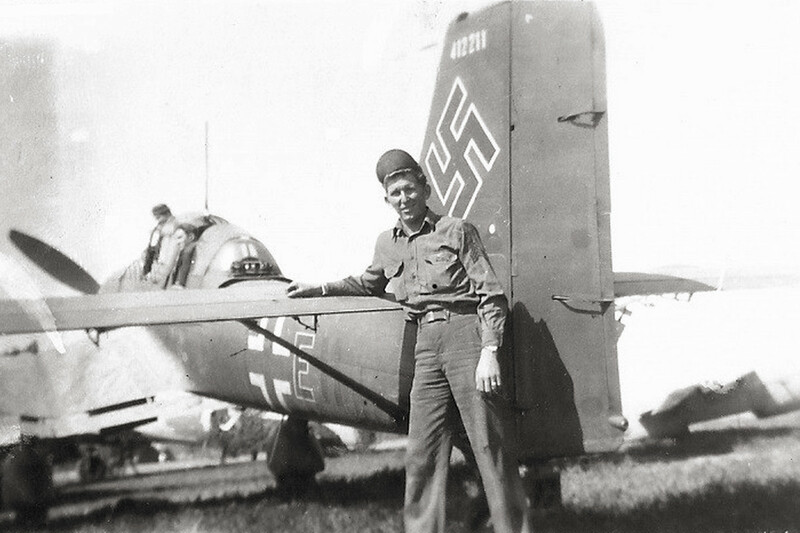 Meanwhile, additional photos have been found that shed more light onto this aircraft. 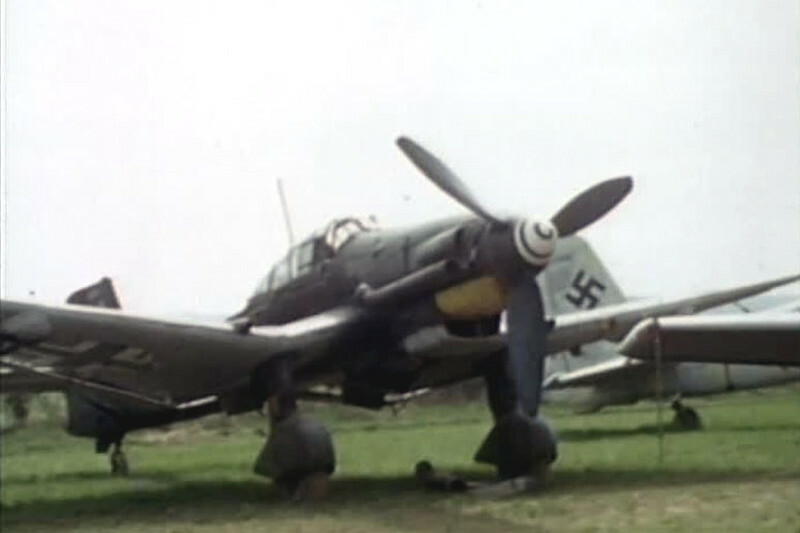 Color footage has also been discovered that now allows us to tell more about the aircraft’s camouflage. [c] The code EH was black and the overall camouflage dark green. What has not been recognizable on the b/w photos we published is the yellow lower cowling in front of the oil cooler intake. 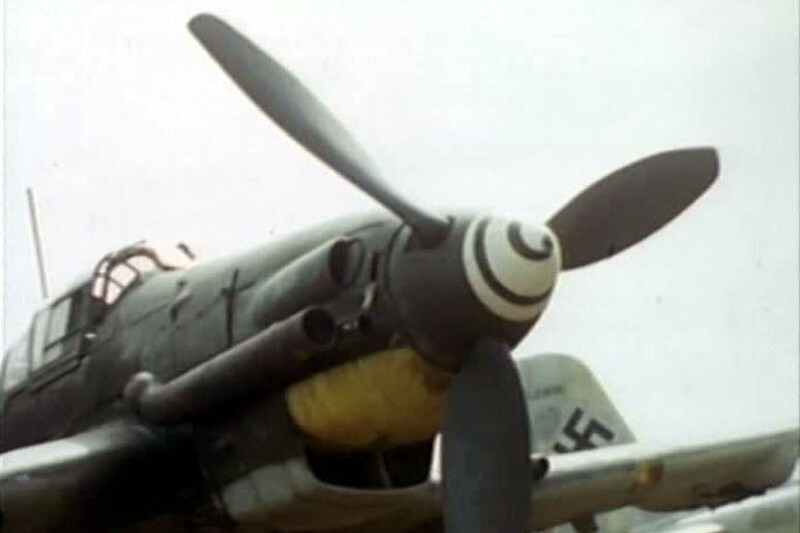 The Ju 88 G with the tactical code G9+BT that was visible in photo 15 on page 11 of our ‘Captured Eagles’ was W.Nr.714607 coded D5+KT of 9./NJG 3.